If you’re struggling to generate the kind of ROI you dreamed of when you established your eCommerce enterprise, you’re not alone. We live in a world where almost anyone with an internet connection and an idea can launch their own business. However, while it’s simple enough to buy a website or set up your own e-store, turning your concept into something that will actually make money is anything but. Sound familiar? Fear not, help is at hand! In this article, we’ll explore some outstanding eCommerce marketing tactics with the power to boost your business and improve your profitability. Read on to get the answers you need. This sounds like it’s an obvious statement, doesn’t it? Well, it is – but headstrong entrepreneurs have rushed enterprises into the marketplace before they were ready. This can lead to lost investments, financial strain and avoidable stress. Take some time to start thinking about your company’s place within the eCommerce landscape. You have products to sell, and you believe an audience out there is willing to pay for them. However, that may not actually be the case. This all depends on the type of product(s) you plan to bring to the market. Ask yourself this: do they fit into a niche, or do they have plenty of mainstream appeal? For example, if your eCommerce is set to be focused on a product that nobody else – or few others – have sold before, marketing it can be a little more difficult. After all, if your goods are so unique people don’t even know they want them, you may have no idea how to reach them. If your products are widely available from other businesses, you will be able to gain some idea of how to market them by exploring the techniques your rivals utilize. The downside of having a larger audience interested in your product, though, is that you’ll face more competition. To overcome this, you will need to either have the best version of the product(s) or create the perception that you do. This all comes down to branding – meaning establishing a follower base through social media and high-quality PR. Considering these elements can help you identify your place in the eCommerce market and how best to start formulating your strategy. What can you do to market your company and gain traction? Amazon is a giant of the eCommerce world. Almost everything you could possibly want or need is available there. Hundreds of thousands of third-party sellers supply to consumers through Amazon. Their Fulfilled by Amazon (FBA) program enables businesses of all sizes to store products in an Amazon warehouse ready to be shipped when an order is placed. They are eligible for faster delivery through the Amazon Prime membership too, increasing their appeal to buyers who want their goods in a hurry. The FBA program makes it possible for you to have your products put into the ‘buy box’. This essentially makes your goods appear to be Amazon’s own and lets you use Amazon PPC ads to market your products through their Amazon Sponsored Products scheme. If you embrace these paid ads rather than simply relying on consumers being attracted by your place in listed results, you can gain an edge over your competitors by potentially securing a higher placement. Email marketing is a powerful promotional tool. But before you can start sending them to prospective customers, you have to generate leads. 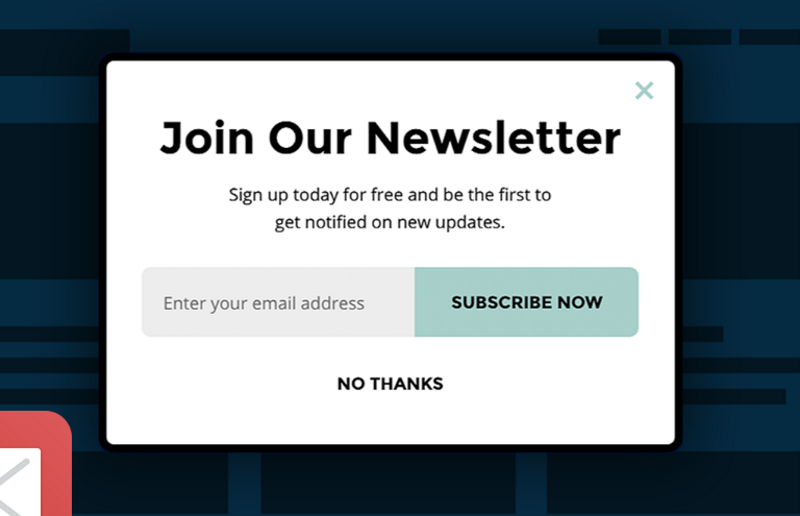 The best way to do this is in your landing page. Offer people an incentive to register with you, whether it’s to receive newsletters with exclusive deals in them, a significant discount on their first purchase or a complete freebie. While some people may feel uneasy about submitting their email address, they will do so if they stand to gain from it. You can start to build a valuable database of email addresses and expand your reach. Even if they leave your site without actually buying anything, visitors can still be potential purchasers in the future. You can use email marketing platforms like MailChimp to contact customers in a much more convenient, streamlined way. This can save time that would be better spent on other areas of running your business. Always make sure your marketing emails are targeted and personalized to customers. Use their name in the subject line and introduction to create a more personal, instant connection. Google AdWords is a terrific marketing platform that businesses of every scale should be using. However, you need to make sure you take full advantage of its features and functions. Don’t spend too little on your AdWords paid ads. While it can be tempting to keep your budget as low as possible when you’re building your business, you could be short-changing yourself. Once you identify those keywords and ad structures that perform best, invest more money in them. You will stand to get more for your investment, rather than spreading yourself too thinly across less-effective ads. In addition to AdWords, you should be advertising on Facebook too. Facebook’s PPC opens you up to an audience of billions, though let’s be realistic – nothing close to that number is going to take an interest in your brand. However, you can still get your ad in front of thousands of potential buyers if you do this right. Facebook lets you target specific users through Custom Audiences, appealing to customers based on their interests. Lookalike Audiences is a fantastic tool that enables you to target prospects who share similarities to previous customers of yours, saving you the trial-and-error of starting from scratch. Incorporate all of the above techniques into your eCcommerce marketing strategy, and you will notice a difference in your business. But remember, patience is key. While paid search can start bringing in results instantly, you won’t become an industry leader overnight.